Although China represents almost 20% of the world population, up until now, not a single Spiritist work had been translated to Chinese. Over a year ago we initiated a project to produce versions of Allan Kardec’s works in Chinese. 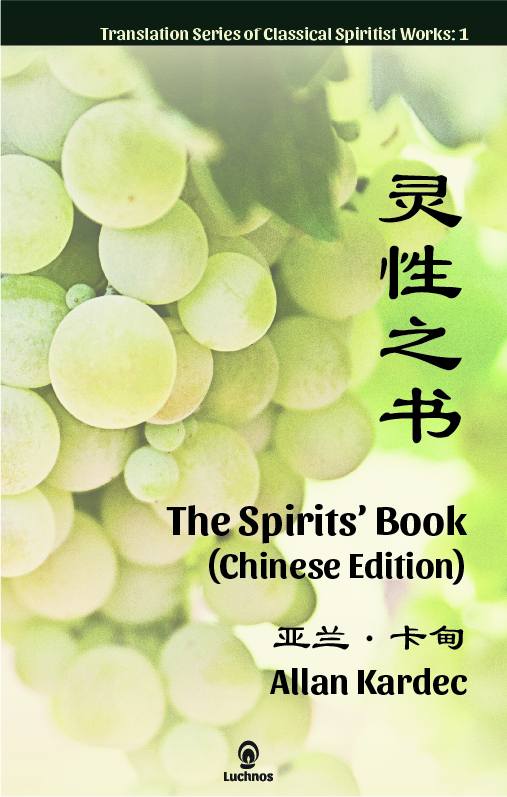 The release of the Chinese version of The Spirits’ Book today represents the first result of this endeavor. Aside from representing an immense audience with almost 1.4 billion people, the Chinese are in many ways a natural public for Spiritist ideas. The religious traditions of China—Confucianism, Taoism, and Buddhism—all hold reincarnation as a central tenet, for instance. In addition to that, the resurgence of Christianity in the past few decades leads one to believe that China may very well have the largest Christian population within a decade or so. The rise of Christianity combined with the belief in reincarnation makes Spiritism a natural fit for many Chinese. The Chinese version of The Spirits’ Book can be found at online bookstores such as Amazon and Barnes & Noble, or—at a promotional discount—directly at our distributor, www.lulu.com. Please send a message to info@luchnos.com to ask about volume discounts. Next Next post: How to translate the word “Spiritism” into Chinese?